Last spring, I had the pleasure of meeting Kim Miller and Heather Mason. 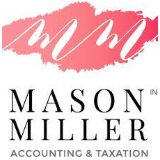 Two eager businesswomen who were merging their financial services practices into one new company called Mason Miller Accounting & Taxation. At the advice of their digital marketing agency Digital Giants, they decided to take some time first to understand their brand before diving straight into a website build. You really can’t blame them; during this startup time, you want everything done yesterday. Kim and Heather made a wise decision to devote about 12 weeks of think time to a Brand Discovery and Articulation process. This is a time of self-discovery and reflection, sorting through your business benefits and then crafting a creative strategy that helps you stand out in your industry, community and of course against your competition. We had lots of coffee and long talks. I helped Kim and Heather focus on their individual and collective strengths both personally and professionally. After all, personality plays a huge role in any kind of business partnership so it was important to discuss these strengths and how best to leverage them. The personal piece is also very important because ultimately, the goal is to craft a brand or business “outfit” that reflects them as people; it needs to look, sound and feel like them, and what they aspire to become. It must reflect their personal values in order to create a culture that is uniquely them to draw in not only the right type of client but also the right people to work alongside them. We talked about the easy stuff and the hard stuff. We identified weaknesses and threats but the upside is they can be turned into opportunities! Remember, a negative is always an opportunity to create something positive. We dug deep into the service features and benefits that truly are unique; those things that their competition cannot replicate or a service that they offer better than others. We brainstormed all of the ways they want to do business and the type and style of service they wanted to offer. We daydreamed what Mason Miller would look like in 1 year, 5 years and beyond. After many hours of talking, thinking, writing, editing, brainstorming, shortlisting we landed on a perfect description of Mason Miller; their brand essence, brand promise, nd brand pillars. This is the information that defines their brand. We crafted a brand articulation that reflects the traits most important to them and those that will make them distinctive yet at the same time relevant and meaningful to their customer. This information, in a distinct and distilled format, was then utilized as a springboard for driving the creation of branded touchpoints and marketing channels. First off, it helps to drive the development of the visual brand identity. We needed to have their brand constitution brought to life in image, colours and shapes. Okay so we need to fess up; Kim and Heather did jump the gun. They had a logo and business card developed prior to embarking on the brand strategy journey and they admittedly thought it was just fine back then. Now that we are being honest, even the designer who created the logo didn’t think it suited them but she decided not to challenge them this time. During our discovery stage, we sought external assessment of the logo and it was described to look like a lingerie brand, makeup brand or even a funeral home because the icon looked like ethereal angel wings or clouds; not exactly what you’re going for when you are in the taxation and accounting business! The brand modeling work helped to easily direct the new visual identity which captures their brand DNA in a more suitable fashion. I knew there was a way they could express themselves as strong, smart, modern and bold…AND use the colour pink! Working in partnership with the right graphic designer also helps tremendously. 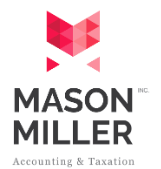 Thanks to Emily + Co. Creative for designing a beautiful new logo, brand identity package and website for Mason Miller. Now they were off to the races! 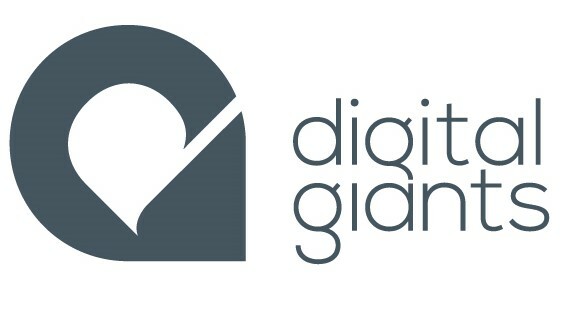 Armed with their brand DNA it was now possible to build their website because Digitals Giants had an overall understanding of their brand. They chose a new office location that better suited their brand position and personality. Mason Miller then hired people that fit the brand culture they are in the midst of creating. In the past year, Mason Miller had accomplished so much as they birthed their brand. At this time, we created visual brand standards; logo formats, colour standards, font families, iconography, photography and more. These standards are provided to any company that will help create any branded asset. This is an important tool that helps keep the brand looking congruent and consistent across all brand touchpoints! The best part is they took the time to think about it, to be intentional so that every decision made sense and tied back to a central brand idea. They are looking spiffy in their new brand and I think they are loving their new-found brand education and applying their knowledge as they now make decisions. Here is how they describe the process. 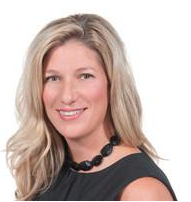 “The brand discovery process you took us through was amazing! We have never felt so focused and confident about the services we offer! Thanks so much for all your hard work and getting to the heart of us. We all feel it was a very valuable exercise and we are glad we took the journey with you,” Kim Miller and Heather Mason. Discover, define, describe and then design your brand. Heather and Kim rushed to create a logo and a website and found themselves spinning in circles. Once they had the branding nuts and bolts figured out they could easily start building their brand assets. Whether you are merging, re-branding or starting from scratch, it is important to have a strong brand plan. If you need a brand checkup, roadmap or redirect, please contact Mercer Street Consulting for more information.